More than just a painless way to have an indoor snowball fight, polystyrene balls are fantastic for use in numerous crafts. Often, you can find them in dollar stores in the craft isle, which means you can experiment without worrying about costly mistakes. For most Styrofoam crafts, use acrylic paint and choose foam balls that have a smooth surface and are less porous. 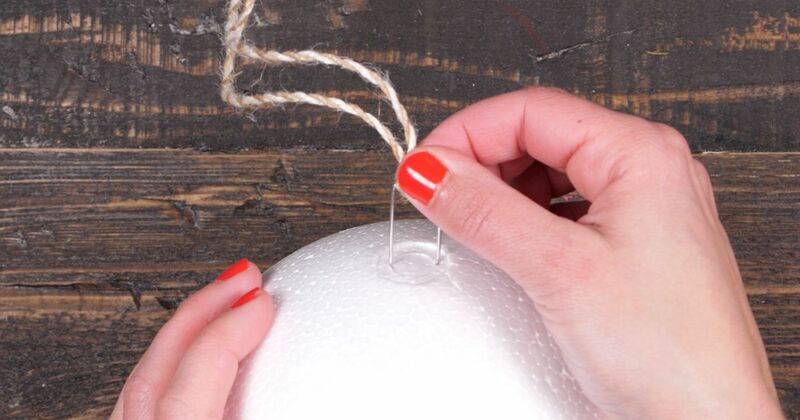 If you plan to wrap yarn around the ball, bumpier polystyrene balls provide more traction. Never use solvent-based spray paints as they will dissolve the foam. Christmas isn't the only time kissing balls are in season. 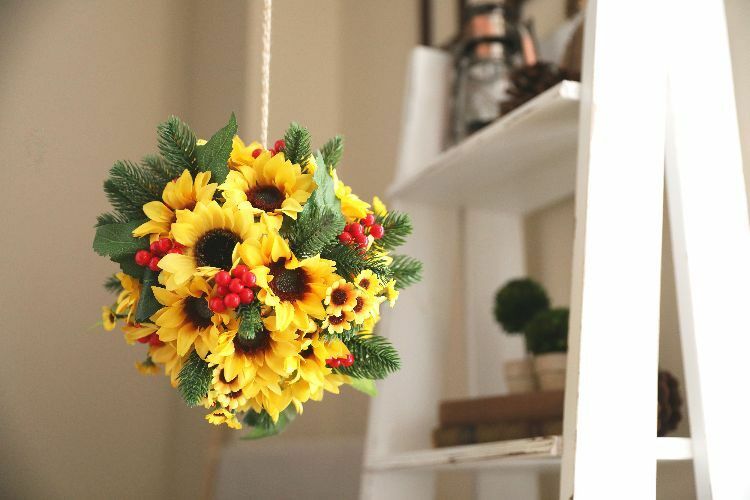 This sunflower kissing ball brightens up any doorway and room with bursts of yellow, red and green. Twine makes for a sturdy hanger, but you also could use thicker ribbon in matching or contrasting colors. Get the tutorial here. Tacky spray and chopped-up dried greenery make this an easy project akin to rolling cookie dough in nuts. So you don't go around looking like the Swamp Man, put on disposable gloves prior to patting on the moss. This craft may take a little time, but the final result is worth the effort. The great thing about this wreath is there's no specific way you have to decorate the foam balls. 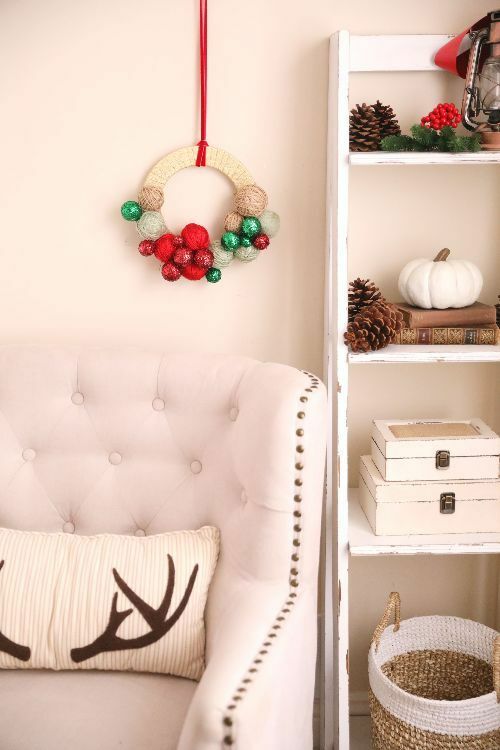 Whether it's yarn, glitter, raffia ribbon or paint, you may make this wreath as understated or bold as you want. Get the tutorial here. If you mastered moss balls, then you're halfway done with this project. 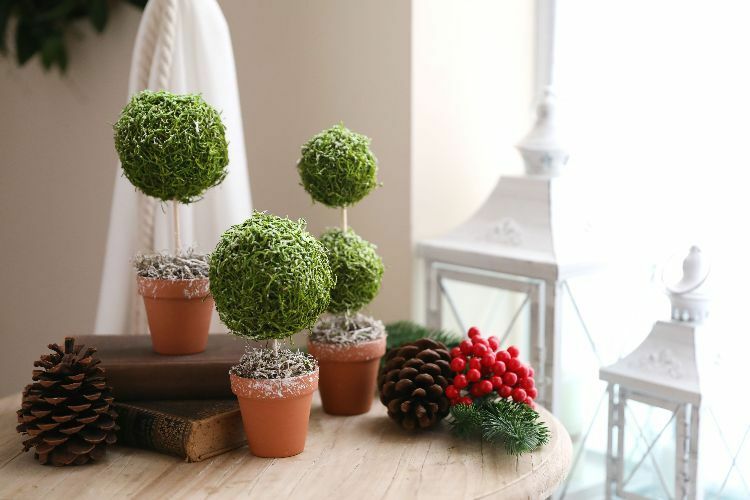 A giant moss ball doubles as a topiary after being placed on the end of a dowel inserted into a small pot. You can customize this topiary by season. 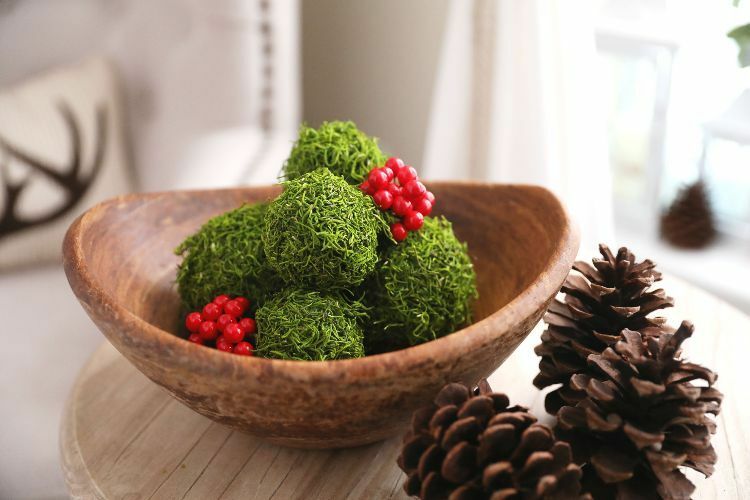 Add decorating snow spray for a winter display, leave it green for the spring and summer seasons, or spray a little tacky spray on the moss ball and strategically dip it into cut-up colored raffia for autumn. Get the tutorial here. 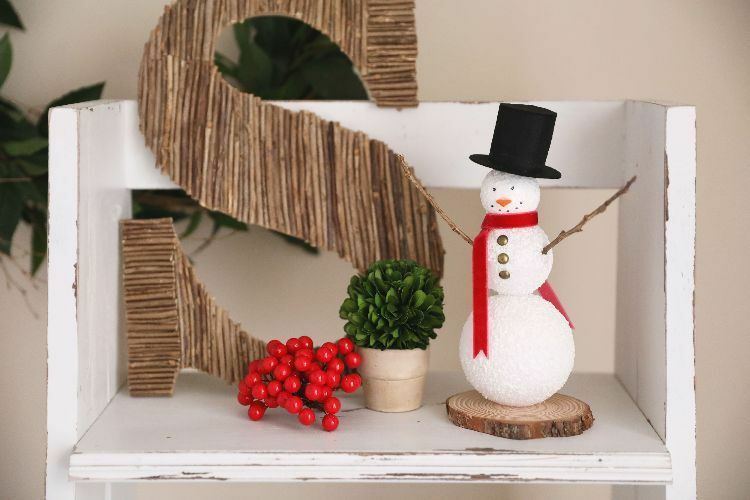 Bring a little nature indoors with this fun project that won't leave Frosty in a sad little puddle. On a wood base, glue three progressively smaller foam balls, one on top of another. Wrap the base in plastic and spray the snowman with decorative snow spray. All that's left is to decorate! Get the tutorial here.